Oracle OpenWorld 2015 – We Want To Hear Your Story! Written By: Chris Leone, SVP and GM, Oracle HCM Cloud. As I’m returning from the first-ever Modern Business Experience (MBX) event in Las Vegas, I’m more pumped than ever about the momentum and the future of Oracle Cloud. I’m extremely proud of our team at Oracle. Yesterday, Oracle CTO and Chairman, Larry Ellison, announced that this is a worry of the past. They are rolling out Soar , the world’s first automated cloud migration product that enables Oracle customers to reduce the time involved and the cost of cloud migration by up to 30 percent. Soar is unique in that customers have a dedicated Oracle concierge service that ensures the best possible experience. Oracle Soar addresses both Platform Security and Infrastructure Security. H3 HR Advisors is excited to share a new video series we have in partnership with Oracle. Human Talks is a show where we talk to HCM practitioners, analysts, and Oracle partners. Oracle did just that. Culture of Appreciation Employee Engagement Power of Thanks Social Recognition Oracle peer recognitionby Derek Irvine. Recognize This! Employees are telling us what would engage them more in their work. We simply need to listen. Oracle eBusiness $ 107,768 1.2% Agile Testing $ 106,588 n/a Oracle DB $ 106,566 1.5% Dice 2018 Tech Salary Report Released January 22, 2018 WHILE TECH SALARIES. REMAIN FLAT, EMPLOYERS. OFFER OTHER INCENTIVES. Hopping around HCM customer sessions at Oracle MBX last week was fascinating. Both Penn National Insurance and Veterinary Health Group moved to Oracle HCM Cloud and Oracle ERP Cloud together. Oracle Cloud offers modern best-practice business processes out of the box. Make Work More Human In response, Oracle has just released the Oracle HCM Cloud 2018 Fall Product Update. In preparing your company and your most valuable assets—your people—for the turbulence ahead, Oracle can help. H3 HR Advisors is excited to share a new video series we have in partnership with Oracle. Human Talks is a show where we talk to HCM practitioners, analysts, and Oracle partners. Also, be sure to connect with Oracle and Exelon on Twitter. Written By: JP Saunders, VP of Business Value Consulting, Oracle. Are you achieving the desired benefit from your Oracle Cloud investments? 68% faster payroll processing - An Oracle customer reduced time to run payroll from 4 days to 4 hours with Oracle HCM Cloud. 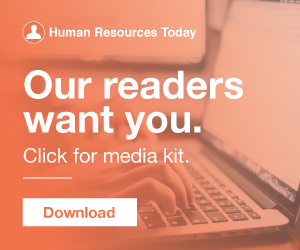 Oracle Senior Writer, Linda Currey Post, sat down with Shahbaz Alibaig, Esterline’s senior HR operations, HR technology, and global talent acquisition director , to discuss their CEO’s global vision to become “One HR, One Esterline” by leveraging Oracle HCM and ERP Cloud. HR Happy Hour 260 - The HR Tech Conference Preview and Oracle OpenWorld Review. Recorded live at Oracle OpenWorld 2016 , San Francisco. It was a great event and there are lots of interesting and exciting things happening at Oracle. Thanks to Oracle for having the HR Happy Hour out at Oracle OpenWorld this year. HR Tech Technology hHR oracle podcast podcastHosts: Steve Boese , Trish McFarlane. Listen to the show HERE. Oracle HCM Cloud has taken the user experience to a new level and the Modern Business Experience event in Las Vegas is a great opportunity for you to try it yourself! 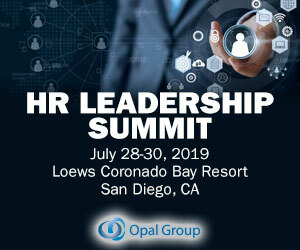 Hear from Jeffrey Haynes, Director with Baker Tilly, and Joseph Clay, Oracle VP HCM Transformation, to learn everything you will need to know about the biggest trends impacting higher education HR professionals today. For a limited time, you can receive special pricing* when purchasing Oracle Linux, Oracle VM and Western Digital’s Tegile storage. Oracle Linux, Oracle VM and Tegile Intelliflash Storage enable customers to accelerate time to deployment of Oracle Applications. Written By: Sarah Lambert, Director Oracle HCM Cloud, Product Marketing. Given that midsize companies employ approximately one-third of private sector workers in the United States and are the biggest generator of jobs in this business segment*, we at Oracle think it’s important to support their efforts to grow and expand whenever possible. Both Oracle and Monster strongly believe the above capabilities will have a huge impact for customers upon their release. Stay up to date with the Oracle Certification Program. New Exams and Certifications Oracle Mobile Cloud Enterprise 2018 Associate Developer | 1Z0-927 : This certification covers implementation topics of related Oracle Paas Services such as: Visual Builder Cloud Service, Java Cloud Service, Developer Cloud Service, Application Container Cloud Service, and Container Native Apps. Oracle recently announced the availability of Oracle Human Capital Management Cloud (Oracle HCM Cloud) 10. Oracle recently announced the availability of Oracle Human Capital Management Cloud (Oracle HCM Cloud) 10. Oracle has launched Oracle HCM World, a new event for HCM professionals that gathered approximately 1500 customers and prospects together to focus on the business that is HR. 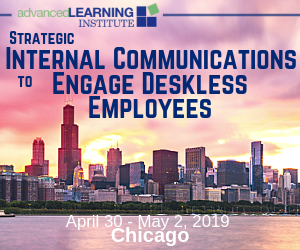 Harkening back to the Taleo World conferences a bit, the conference attracted leaders in all areas of human capital management. The key themes presented were expected – […]. This year, the competition is more fierce than ever, as diehard fans can even see how their favorite NBA teams stack up with Oracle Analytics and data visualization tools. At Oracle , we have a whole team who dedicates their time to helping employees find ways to give back. As Oracle's Cloud solutions continue to expand across SaaS, IaaS, and PaaS, customers are eagerly evaluating how these offerings can help transform how they run their businesses. In the Oracle keynote session on Monday, April 23 at 2:30 p.m., By Wincy Ip. That’s why Oracle is expanding our partnership with LinkedIn to reimagine this aspect of HR for the future. With our recent announcement, we’re more powerfully connecting Oracle Human Capital Management (HCM) Cloud and Taleo Enterprise Edition with LinkedIn to uniquely deliver a unified talent marketplace for customers. If you’re a human resources pro or recruiter trying to find the right candidate for a job today, you know how competitive things are. Oracle released PeopleSoft Cloud Manager in 2017 featuring in-depth automation to help accelerate adoption of Oracle Cloud (Classic) as an efficient deployment platform for PeopleSoft customers. With our new poster „ Four Pillars of Digitalization based on Oracle Cloud “ (Download it here ) , we try to deliver a set of harmonized reference models which we evolved based on our practical experience, while conceiving modern, future-oriented solutions in the area of modern application designs, integrative architectures, modern infrastructure solutions and analytical architectures. If you need support with your account please contact the Oracle Partner Business Center. Everyone loves a good “best of” list, so we’ve compiled the Top Reasons to Attend Oracle HCM World 2018. Customer stories: We’ve increased the focus on strategic stories and quantitative results from current Oracle customers. Oracle API Platform Cloud Services - API Design This is the first video of a series to showcase the usage of Oracle API Platform Cloud Services. Oracle API Cloud Services This is the second video of a series to show case the usage of the brand new Oracle API Platform CS. This is part one of API Management Oracle API Platform Cloud Services - API Management part 2 This is the 3rd video of the series. Hajer Mabrouk is an HCM Business Solution Director at Oracle. By Hajer Mabrouk. We are very excited to let you know that the first Employee Experience journey mapping workshop took place at OOW this year!!! We had 27 attendees participate in this dynamic workshop.